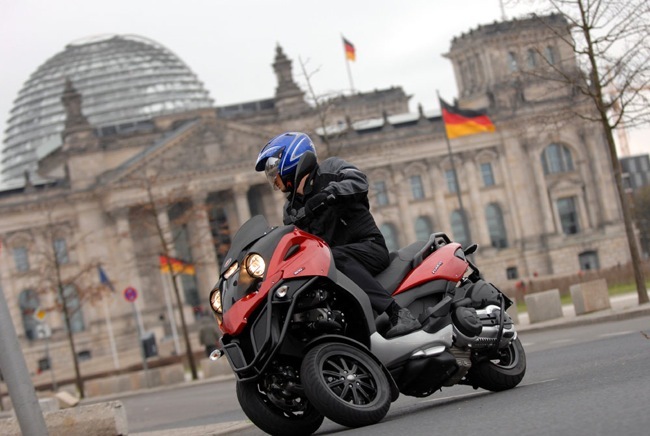 TGB, Daelim, Sachs and CF Moto pricing revised for the new trading year. Mojo Motorcycles are getting ready for a big 2011. The Daelim brand has recently been added to the Mojo stable, joining the likes of CF Moto, Sachs and TGB. So all up a nice broad model range across the 4 brands. The Sachs Amici will be in the Top 10 selling scooters this year. 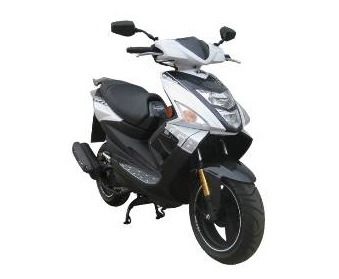 Sachs have just released the X Road 250cc Motorcycle. Daelim, in early 2011, will launch the S4 for under 2 grand. Daelim, in early 2011, will launch the quirky B Bone 125. 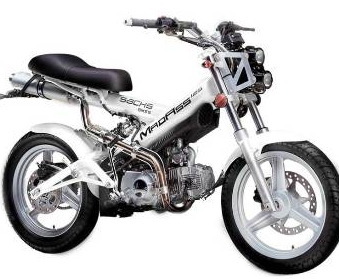 CF Moto, in early 2011, will launch the Leader 150 commuter bike. 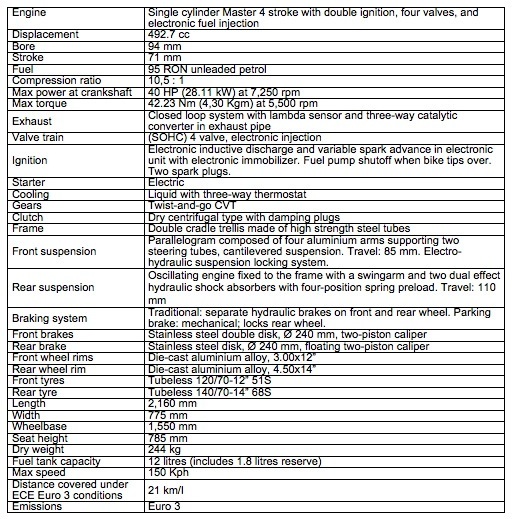 All prices below are the "Manufacturers List Prices" and do not include on road costs from the dealer. On top of the excellent environmental performance offering a clean and quiet ride worthy of an electric scooter with zero CO2 emissions while riding, the EV-neo leverages a motor that, even with cargo loaded, generates high torque even in the low-speed range to achieve a powerful starting and hill-climbing performance. An in-house manufactured motor and a lithium-ion battery that apply Insight technology have been adopted, and an exclusively developed quick charger enabling full recharge in 30 minutes in a 25°C environment allows charging to be conducted at convenient intervals during the working day. The EV-neo has been developed as a complete electric scooter that can be used in a wide variety of business situations. A body design, which features a wide and flat loading space that enables easy loading, and a flat floor that makes it easy to get on and off the vehicle, ensures ease of use in delivery services and other business situations. The EV-neo PRO, which is based on the EV-neo and will be put on sale simultaneously, adds a large rear carrier that is convenient for delivery of newspapers and other items, and a standard-equipment bracket that can further enhance load capacity by attaching a basket in front. *1, 2: The monitoring of the EV-neo and test operations of its prototype vehicles have been adopted as technology development projects for global warming countermeasures for FY 2011 by Japan's Ministry of Environment (MOE). *3: This product is for lease sales limited to public offices, corporations and individual business owners. *4: Price does not include installation and related costs. The newly developed power unit boasts outstanding environmental performance. 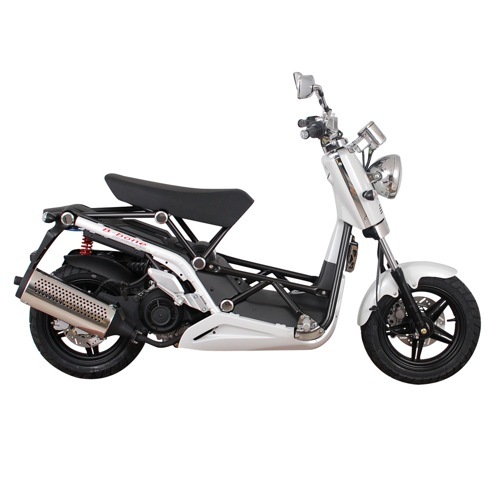 The combination of a Honda-made brushless motor and a lithium-ion battery emits absolutely no CO2 from riding the vehicle and produces a quiet running sound worthy of an electric vehicle - a valuable asset for early-morning deliveries or circulating around residential neighborhoods. 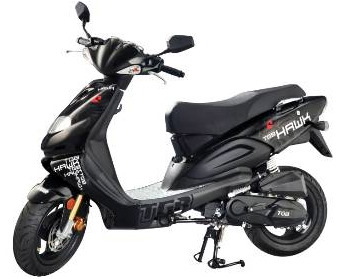 Generating a powerful torque in the low-speed range, the power unit allows the scooter to be started uphill on a 12-degree grade while loaded with 30 kg of cargo. The achievement of 34 km vehicle range per charge (measured at a constant speed of 30 km/h on a level road) enables use for such business purposes as door-to-door deliveries or circulating around a residential area. The EV-neo uses the new SCiB™ lithium-ion battery from Toshiba Corporation which is well-suited for repeated charging and discharging and for quick charging, and also delivers stable performance at extremely low temperatures. In addition, the EV-neo's newly developed battery cooling system uses a specially equipped cooling fan that makes the scooter ready for use in all four seasons. The quick charger, designed exclusively for the EV-neo and using a 200-volt power source, provides full charging from empty in about 30 minutes under 25°C conditions, making it possible to recharge the vehicle quickly during spare moments in the working day. The portable regular charger can be stored under the seat and provides 100% charging from empty in about 3.5 hours at 25°C. 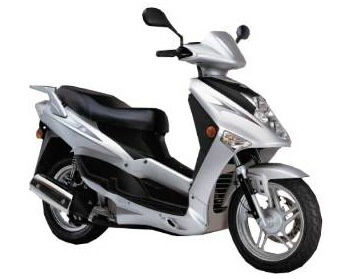 Cargo totaling 30 kg (the maximum statutory loading capacity for 50cc-or-under first-class motor-driven cycles in Japan), composed of 5 kg in the front,*5 5 kg in the luggage space under the seat, and 20 kg on the rear deck, can be loaded onto the body. A low-center-of-gravity design that places the major weight of the battery under the floor, combined with the 12-inch tires, provide enhanced riding stability with loaded cargo. Securing a 50-degree handlebar turning angle to the right and the left, the vehicle is easy to maneuver in alleys through its sharp turning capability. 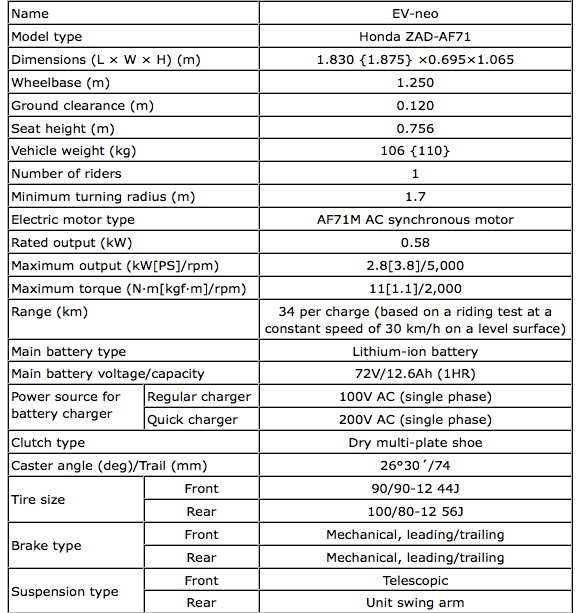 The EV-neo scooter uses Honda's unique Combined Brake System (CBS) to ensure stable braking performance even with a full load of cargo. The center stand and standard side stand come enclosed in rubber to reduce the noise made by kicking up the stand, thus helping to ensure quietness even when deliveries require frequent parking stops. - Digital meter with excellent visibility displays mileage, remaining battery power, and an in-progress indicator for charging. - Automatic energy-saving system ensures that power is shut off when the rider is away from the vehicle for a specified time with the main switch on. - Charging connector, newly developed exclusively for the EV-neo, pays extra attention to durability and the ease of plugging in and pulling out the charger. - Body color available in Los White. - Optional audible pedestrian alert system*6 to warn pedestrians of an approaching vehicle when riding at 28 km/h or lower. In accordance with the guidelines concerning quietness of hybrids and other vehicles, issued by the Ministry of Land, Infrastructure, Transport and Tourism of Japan, a warning must be sounded to alert pedestrians and others nearby of an approaching vehicle. However, this does not relieve the rider of the obligation to pay sufficient attention to the traffic situation. The two ring brand is literally on-fire. The Fuoco now only $12,990 Ride Away. Peter Stevens, importer of the two ring brand Gilera, have a pleasant surprise in-store for 2011. 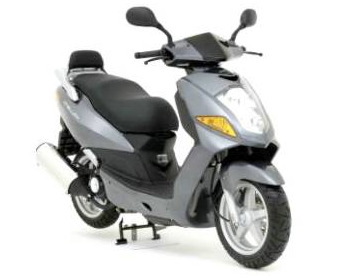 The price on the Gilera Fuoco 500 is now only $12,990 Ride Away. This price represents amazing value when you take into account the Fuoco's standard features and combined sporting prowess. 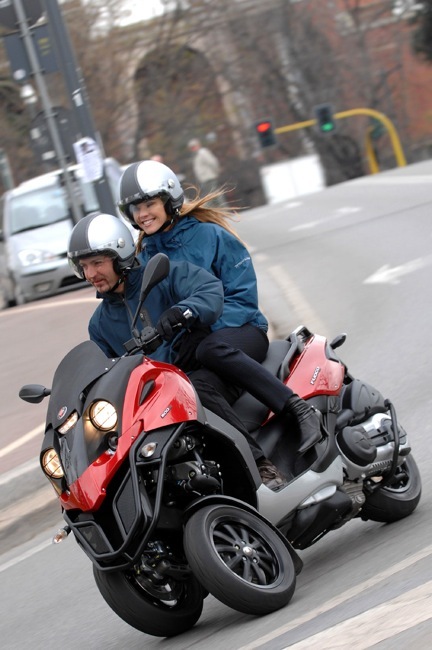 Blessed with two front wheels, the Gilera gets a double dose of all the good things in life. 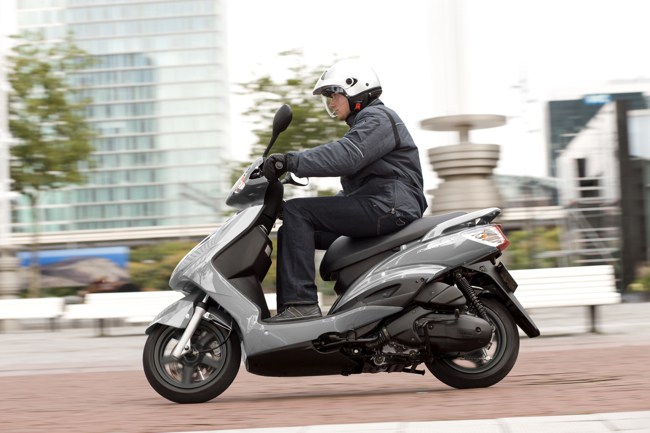 Superb braking, sure-footed dynamics, comfortable ergonomics, the Gilera has everything you could ask for in a larger capacity maxi. 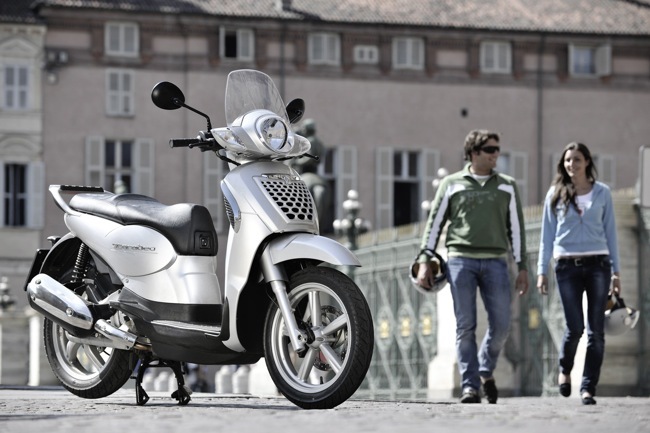 The Gilera has been fitted with the latest Piaggio Twin-Spark 492 cc Master engine. As far as big singles go, this one's a winner. So what are the benefits of having an extra wheel? It's the reassurance across a variety of surfaces, making sure that no matter the direction or path you take, the Gilera will follow your chosen line. The Fuoco will offer the flexibility of being what you want, when you want. 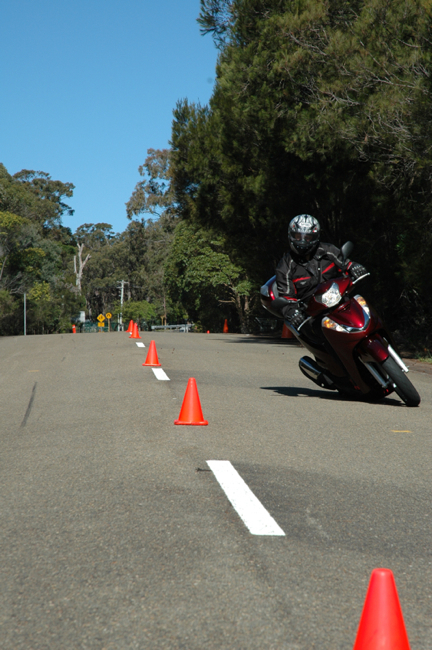 Carve up your favourite back road, cruise the freeway, commute like a champion. The Fuoco makes no apologies for being different, starting a conversation is just an additional part of the ownership process. 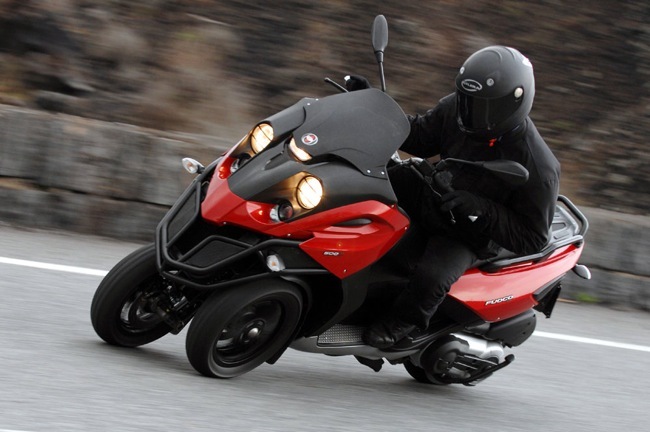 The Gilera Fuoco’s innovative looks get its rider noticed. The front end of the Gilera Fuoco 500 ie is attention grabbing: its decisive, uncompromising shape expresses strength and character and hints at the incredible performance of the 492 cc single cylinder engine. The two-wheel front end is marked by a steel tube bumper with metal mesh inserts that give the vehicle a rugged look. The front design protects the rider and mechanical parts while putting the unique front suspension technology on display. Other wicked touches are the sleek ‘naked’ metal handlebar and black ten-spoke wheels. The five-lamp headlight unit is not only striking to look at but highly effective as well; the two biggest lamps are equipped with off-road-style impact guards. The front fairing and front shield fairing offer remarkable aerodynamic protection. There is a wide, comfortable footplate behind the front shield fairing. The tail design is stark and minimalist, a mix of plastics and metal tubes that picks up on the styling of the front end. The tail incorporates a versatile rear rack, and the wide, comfortable seat ensures total comfort for both rider and passenger thanks to its ergonomic design and negligible height difference between the two parts of the seat. 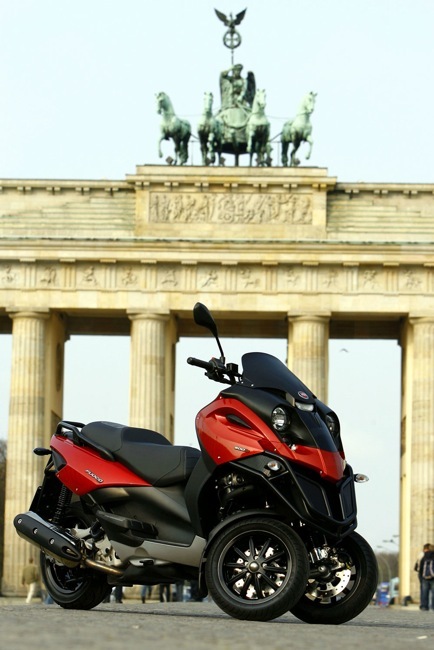 But there’s more than design to the personality of the Gilera Fuoco. The latest product from the two-ring brand boasts top engine performance, ideally backed up by revolutionary running gear to provide astonishing ride quality. 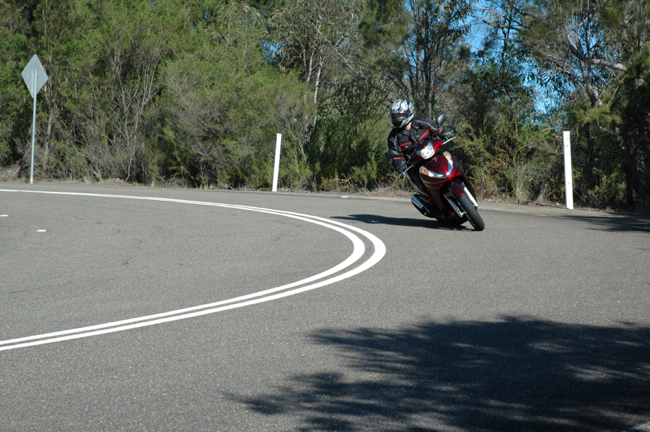 The Gilera Fuoco 500 ie streaks away from traffic lights and takes all kinds of terrain in its stride, handling twisty mountain roads and long motorway rides in all safety whatever the weather conditions thanks to its two front wheels commanded by an extraordinary parallelogram front suspension. This revolutionary technical set-up ensures impeccable road holding in all riding conditions, with stability and braking power that no conventional scooter can provide. The steel tube frame conceals the powerful, reliable Master 500 ie double ignition engine, a 4 valve, 4 stroke unit with electronic injection and liquid cooling. The capacity of the Master engine has been upped to 492 cc to obtain maximum power of 40 hp at 7,250 rpm and maximum torque of over 42 Nm at 5,500 rpm. The introduction of the twin spark system has also made it possible to optimise combustion inside the cylinder, with a reduction in noise and gas emissions. The result is a smooth, high-performance engine, very torquey at low and medium range rpm, that takes the Gilera Fuoco 500 ie to a top speed of nearly 145 km/h while fully respecting Euro 3 norms thanks to the advanced closed loop injection circuit with a Lambda sensor and three-way catalytic converter in the exhaust pipe. The engine’s exuberance is skilfully managed by the sophisticated running gear. The innovative parallelogram front suspension’s tilt mechanism is composed of four cast aluminium arms, with four hinges fixed to the central tube and two guide tubes on either side of the parallelogram, connected to the arms via suspension pins and ball bearings. 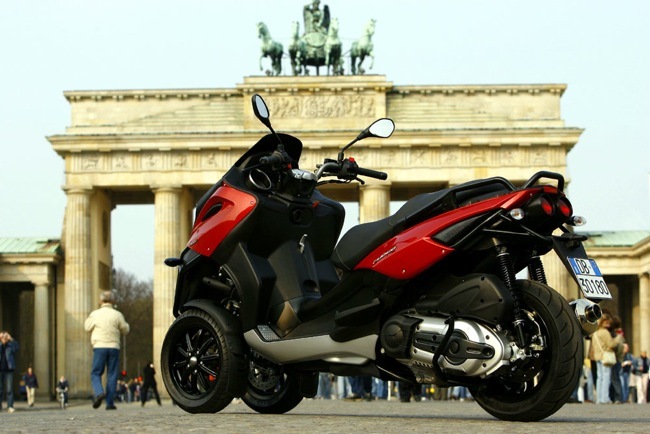 This means that the Gilera Fuoco is as easy to ride as a traditional scooter, while its incredible stability, especially when cornering and braking, comes from its two front wheels. Standard equipment includes an electro-hydraulic front suspension locking system that keeps the Fuoco 500 ie upright without a central stand. This makes it extremely easy to park anywhere. What’s more, there’s no need to put your feet on the ground to keep your balance when stopped at a traffic light. Optimal rear end stability is guaranteed by a 14” rear wheel with a generous 140/70 tyre, while three 240 mm disk brakes with dual-piston callipers ensure fast, efficient braking. 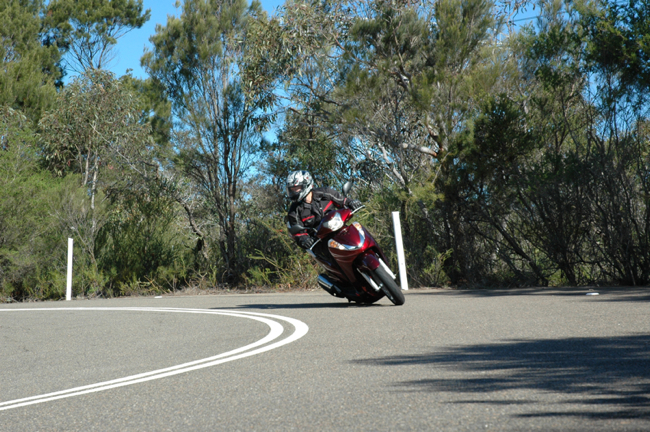 As we celebrate the launch of Scooter Accessories, during the month of December(2010) we will be holding a competition for the most "needy" scooter rider in Australia. Scootersales.com.au in conjunction with ScooterAccessories.com.au, will be giving away two Corazzo jackets. One men's, the other for the ladies. The winning entrant will be judged to have been the most needy scooter rider, urgently requiring a new jacket to replace their existing one (or none). Sachs Bikes Australia release new learner legal commuter, the X-Road. 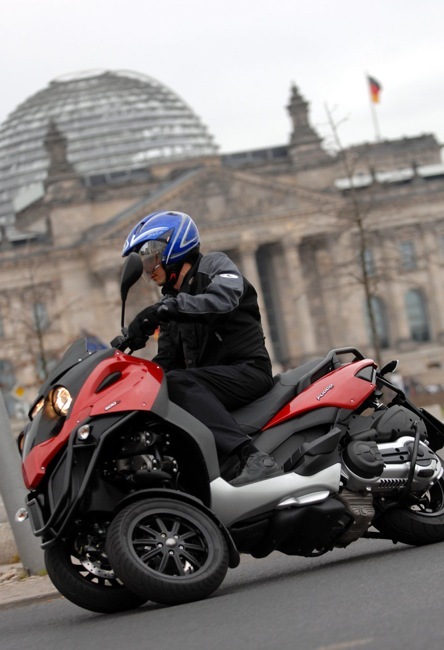 Sachs Bikes, the German motorcycle and scooter manufacturer, have recently launched their new learner legal commuter motorcycle the 250cc X-Road. The much anticipated release took place at the recent Australian Motorcycle Expo held in Melbourne, drawing much acclaim from the assembled press, dealers and general public. Sachs Bikes representative Josh Carter was overwhelmed with the attention the X-Road has received. “The response to this new learner legal model has been tremendous” he stated. The striking X-Road design builds on the imposing reputation Sachs Bikes has for leading edge vehicle design. “The Sachs Bikes design offices in Germany have been responsible for some remarkable vehicle designs which have developed cult followings. “We have no doubts the Sachs X-Road will follow in the foot steps of the ever popular Sachs Madass and develop its own following” said Carter. Having been sold in Europe for a number of years, Carter is suitably confident the X-Road will more than stand up to the challenges of every day commuting. “The X-Road has been on European roads for quite some time and has developed an enviable reputation as a motorcycle which delivers exceptional reliability and responsive performance. “When you start to note down some of the key specifications like front and rear disc brakes, electronic speedometer display and air cooled over head cam 250cc engine its easy to see why the X-Road has that reputation” he said. It’s that same feature set that gives Carter confidence the X-Road will significantly impact the leaner market. “The Sachs X-Road fits perfectly into the LAMS framework and will appeal for those looking for their first bike. “With key safety features, enough power and an affordable price point, just $3790 plus on roads, the X-Road will make the perfect leaner bike for those looking to start out in style” said Carter. 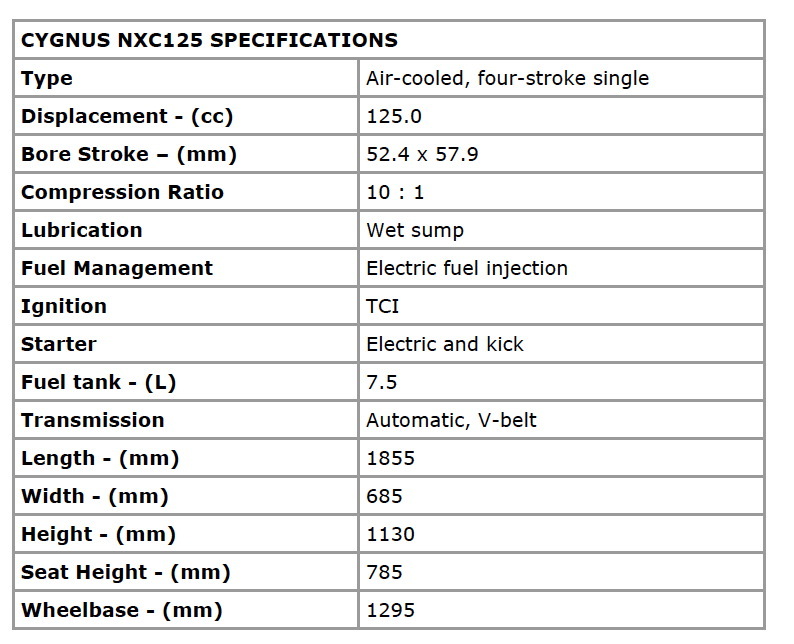 That’s right, the frugal fuel injected four-stroke 125cc commuter that sips fuel at a miserly rate is now cheaper than ever. The swan-like Cygnus is not your traditional scooter. 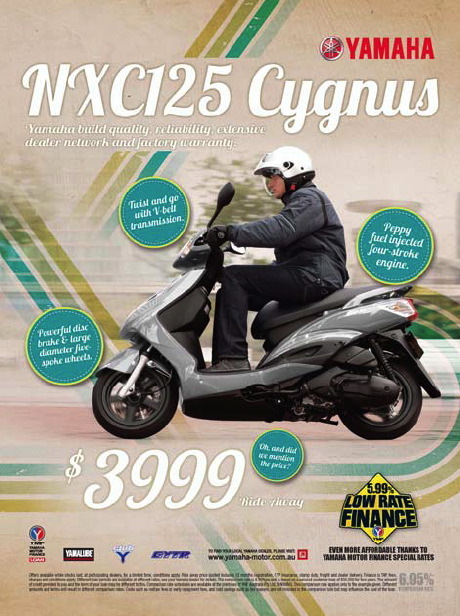 Sophisticated, with clean, compact lines, Cygnus exudes a stylish self confidence that you might only expect to find in a more expensive, large capacity scooter. 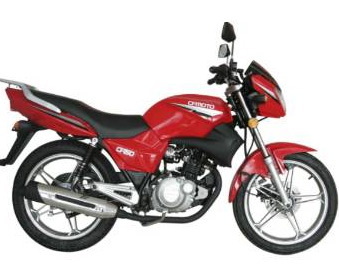 Cygnus’ clean running 125cc four-stroke engine is stone reliable and punchy to boot, comfortably ferrying a rider and passenger from place to place… cheaply too. Yamaha’s reliable V-belt transmission design offers complete, shiftless convenience of operation that is complemented by electric starting. Cygnus looks like it means business, and looks aren’t deceiving, with a simple, yet cleverly-designed chassis geometry and handling package to give you sweet low speed steering response, as well as confidence-inspiring stability as speeds increase. Large-diameter five-spoke wheels and a powerful 245mm disc front brake provide a sure-footed interface with the road. The suave, modern exterior is finished with a comfortable rider and passenger seat, complete with an aero-style rear end spoiler/grabrail. Being a Yamaha means that each Cygnus is fitted with Yamaha DNA security microdots. And in the unlikely event you encounter a problem, Yamaha’s extensive dealer network can service and repair the unit using readily available parts. 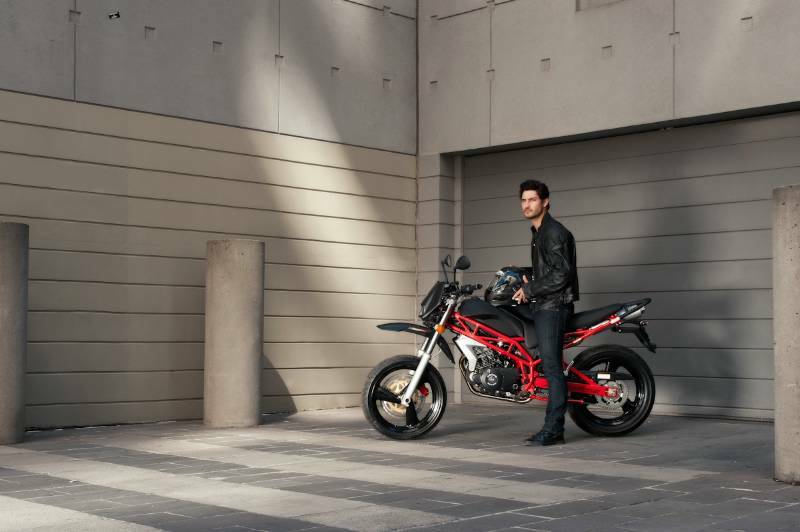 Plus as an additional purchase incentive, Yamaha’s in-house finance company YMF is offering super low rates from 5.99% on all registrable motorcycles until 24 January 2011. 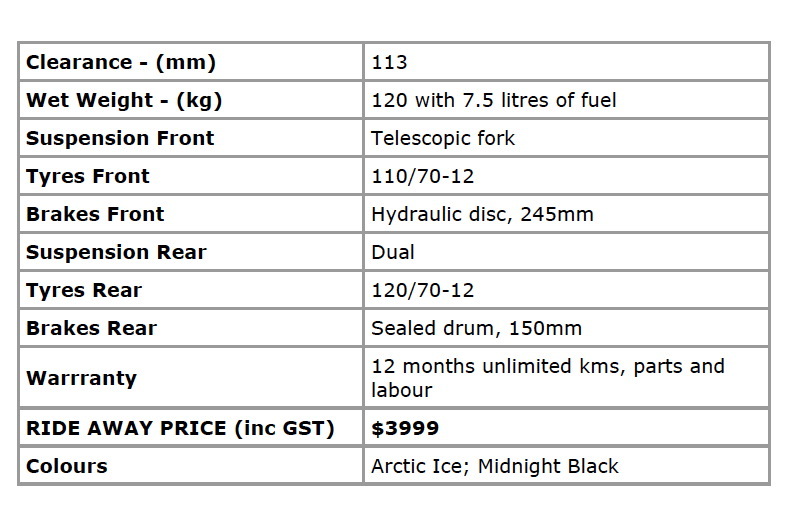 Cygnus comes in two smart colour schemes of Midnight Black or Arctic Ice while ride away price (no more to pay) is just $3999. Aprilia scooters now in the heart of Melbourne's CBD. Teller Automotive now an Aprilia scooter dealer. Teller Automotive Group Now Selling Aprilia Scooters. Teller Automotive has been a retailer of quality used cars since 1958. A family owned and operated business they have grown a reputation for supplying fine quality used vehicles, back-up and support. More recently Teller Automotive had been appointed a dealer for the brand SYM. Being based in the busy hub of Port Melbourne, scooters certainly make sense. So now we see Teller Automotive broadening the appeal by being appointed an Aprilia scooter dealer. Stocking the full range of Aprilia scooters, Teller Automotive is going to give you a CBD option for the brand. The Aprilia range has answered the call when it comes to the critical factors of performance and value. 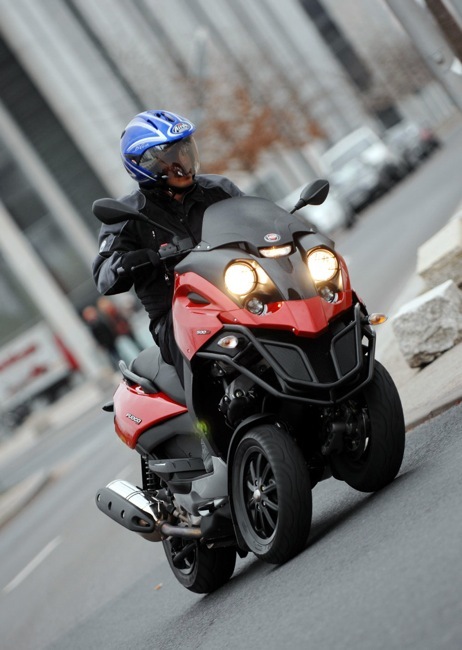 Sports, style and sophistication, Aprilia has the lot. Sportcity or Scarabeo, 125 through 500, or the classic Mojito will get heads turning. So take a trip down to Port Melbourne and say Hi to the guys at Teller Automotive, your CBD option for Aprilia scooters in Melbourne. Teller Automotive Group is located at 11 Munro Street, Port Melbourne. A website devoted to the scooter, and you! Scooter Accessories covers everything from rider apparel and giftware, locks and topboxes. Scooter Accessories is Australia's first real online destination for all your scootering needs. The sites creator, Sue Walters from Sydney's Scooter Central, believes this is just the beginning. "Scooter Accessories has been filled with all sorts of gear for you and your scooter" she said. "Its not just about apparel, it's also about those unique scooter gift ideas you don't see everyday." "And over time the site will continue filling up with a whole host of everyday service items and consumables." she went onto say. Scooter Accessories is perfect for that hard to find birthday gift, or even better, finding that something unique at special times like Christmas. If you're a scooter fanatic, and you love living the scooter lifestyle, Scooter Accessories might just be the destination for you. Each and every month you will find a host of HOT specials. Filed under: "Scooter Accessories" is here. 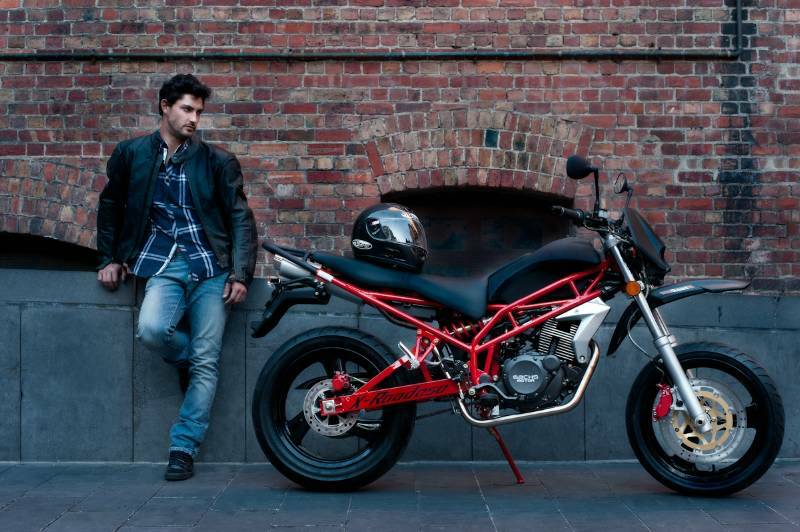 Shop at Sydney's World Square Shopping Centre before December the 19th, you could take home a Sachs Amici. 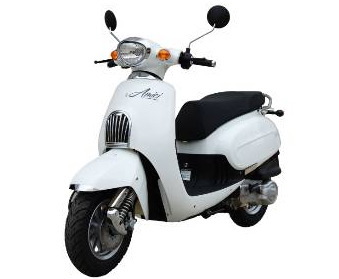 Win 1 of 5 Sachs Amici Scooters, valued at $2,990, just by shopping at World Square in the lead up to Christmas. Full of personality, the Amici will be your friend on the road. Boasting an iconic retro design with modern features and technology you will save time, money and the planet whilst having fun travelling in style. The hardest part will be choosing your colour, available in black, red or white. 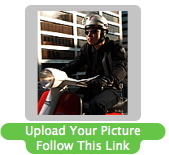 Scooteria is the largest and longest operating premium scooter dealership in Sydney, offering Vespa, Piaggio, Gilera,TGB, CFMoto and Sachs scooters. The team is dedicated to after-sales service and provides the best technical backup to customers. Plus, they are the exclusive agents for Go Go Gear and Momo Helmets. For a limited time only all new scooter purchases made before 19 December will receive a free helmet to the value of $150. 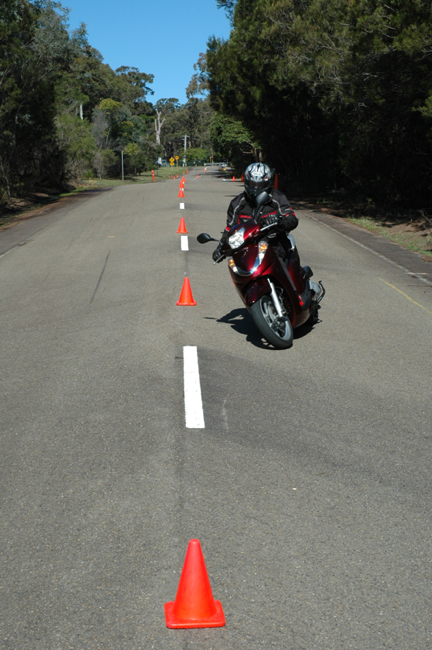 The Honda Australia Training Facility at St Ives is now holding sessions developing scooter specific handling and riding skills. 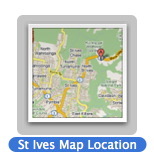 These courses are hosted in a relaxed and friendly environment, away from the hustle and bustle of busy traffic. Sessions are carried out within the H.A.R.T training facility, a safe environment to hone your skills.